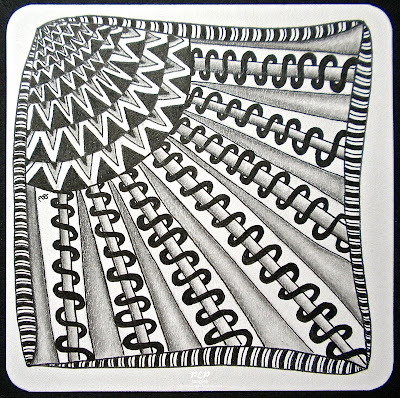 April's Challenge (Number 13) for the Chocolate Baroque Zentangle Group is a tangle based challenge focusing upon borders. 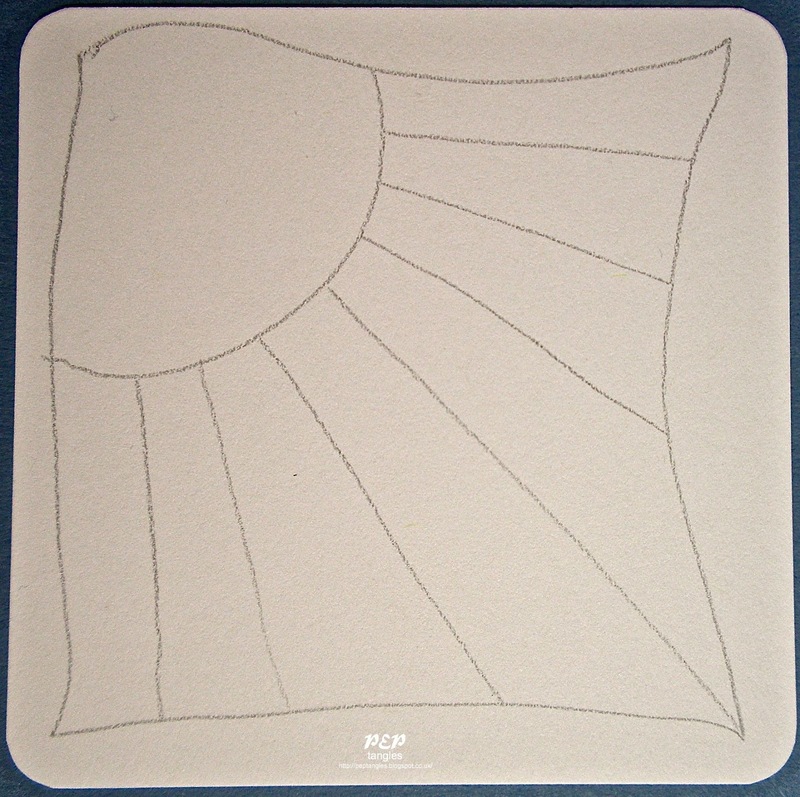 I drew my own string (above) & then watched the tile evolve totally dispelling my preconceived ideas about a sun with rays. Hi Paula, wow what fantastic tangling! Really clever shading and those spirals combine perfectly to make the whole thing look 3D. Great challenge and tile! March just zipped by and I missed the flower challenge...Hopefully I can incorporate this one into my letter/card making for NLWM! Hugs!! 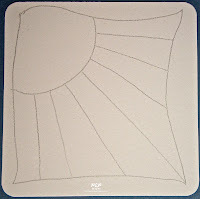 Great tile Paula, I can see from your string where you thought you were going with the 'sun ray' idea, funny how tangling sometimes takes you off in a completely different direction. Your 'wire wrap' tangle is just super, it gives the whole tile movement and depth, my eyes keep wandering from top left down and then up again. Will try to get a tile done soon. Wow, this is beautiful, Paula! This tangle makes me think of how a basket is weaved. Hope the weather in your part of the world has improved so that you've finally been able to do your gardening. The weather has been unusually chilly here in Del Rio in the last couple of days. Blessings! Fabulous Paula - as long as I don't look for too long! beautiful shading and such detail - you have definitely found your forte! and - i didn't realize we could block anonymous - let me go do that immediately!